You’ve probably heard the term TOEFL speaking tips and tricks. Maybe you have seen students posting their 26+ speaking scores on the Internet. Perhaps you have read other web pages giving ideas on how to score higher on the speaking section. Having taught TOEFL preparation for more than 25 years, I have discovered some specific delivery, language-use, and topic development things that you can do. Being able to do these things on the TOEFL exam will definitely help you score higher. One important tip is how many words you should be able to speak in a minute. 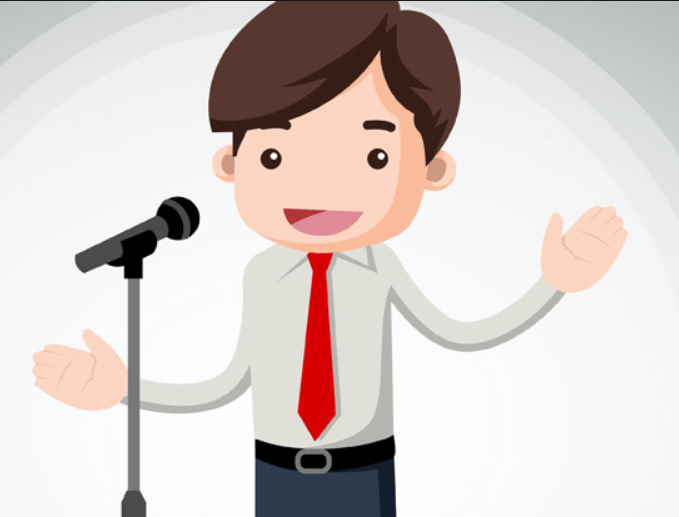 You should be able to speak 130+ words in 60 seconds during the integrated speaking tasks. For example, can you read the following paragraph in 60 seconds or less? Improving your overall speaking fluency involves your mastering the vowel and consonant sounds. Make long vowels longer and short vowels shorter. Make sure you are pronouncing your dipthongs clearly. In addition, you should be familiar with syllables and how they divide the sounds in words. You should not forget to use appropriate stress on multi-syllabic words. Remember to vary your intonation which will help you to speak naturally. To help you with your pacing, you should divide your sentences into thought groups of 4-5 stressed words such as nouns, adjectives, adverbs, and verbs. You should also be blending the words together within each group in the sentences that you utter. Improving your pronunciation in these specific areas will help you to speak clearly. Therefore, you will be more easily understood by the TOEFL iBT human raters evaluating your six speaking tasks. Of course, being understood means you will score higher. You should be able to read this entire passage in about one minute which means you are speaking 137 words in 60 seconds. This is about the same pace that you want to have as you complete the TOEFL iBT speaking section. Try re-reading the passage with me out loud. Pause when I pause. Raise your tone when I do. Drop your tone at the end of each sentence like I do. Make sure you are blending the words together within each thought group like I did. Practice until you can speak this way naturally. In addition to having a naturally sounding delivery, you should also have adequate control of your vocabulary and grammar. Vocabulary Tip: Use precise words with exact meanings. General words communicate unclear or multiple meanings. Your goal is to use precise words so it doesn’t sound like you have any limitations with your vocabulary. General words: I prefer studying alone because it is good for me. Precise words: Studying alone reduces my exam preparation by more than 50%. Email me at mbuckhoff@aol.com if you want my 1,700 TOEFL vocabulary list for free. Grammar tip: You should not be limited in your grammar in any way when you speak. Therefore, you should use a combination of longer and shorter sentences. In addition, you should show syntactic variety. This means you are using simple, compound, and complex sentences in your independent and integrated speaking responses. Unlike group study, studying alone reduces my exam preparation time, and this study method fewer distractions. First of all, studying alone allows me to cut my preparation time in half. For example, last quarter I prepared for an upcoming biology test by writing the terms and concepts onto notecards. Then I recited what I had written down, and I also practiced writing the terms and concepts onto a white board. I completed my preparations in 5 hours. If I had done this study in a group, it would have taken me at least ten hours. Second of all, study alone has fewer distractions. To illustrate, when I prepared for the biology test, I turned my phone off. I also did not need to talk to anyone else. Therefore, I had almost no distractions. Make sure that you are using a wide range of precise vocabulary and grammar during your speaking responses. You should have some type of unique template to introduce and frame your speaking responses. I am hesitant to publish any templates here because they will become overused. If TOEFL iBT human raters think you have memorized an overused template for any of the speaking tasks, they will give you a lower score or even no score at all. Use your common sense when you create templates. Think about what is happening in the speaking task and create a template that can reflect that purpose. For example, in integrated speaking task 4, you will read a short passage about an academic concept. Then in the listening passage, a professor usually presents some type of example to further illustrate the idea. Therefore, you could use a sentence similar to the following to frame your response: The reading passage defines the concept___________, and the speaker in the lecture presents an example to further clarify the idea.